Day 15 of WDW-40, the latest of my Disney Trip Reports, is FINALLY here! Today we had somewhat of a rest day with some time spent at the pool, and then over to Magic Kingdom, late afternoon for Mickey’s Not-So-Scary Halloween Party! After having a lot of rain at the last Halloween party, we were hoping that the weather would be kind. It’s been 4 months since I wrote Day 14, and over a year since we were on this holiday. It is also just 2 months till our next trip to Walt Disney World. I have been very slack on this report for a couple of reasons, but mainly because around the time that I stopped writing my dad got very sick and was in hospital. Shortly after, my mum broke her leg and they both had a prolonged hospital stays and writing about Disney felt really hard to do. While I was “away” from writing these reports, I realised that maintaining two blogs is REALLY hard. I just don’t have the time to do it all – and that’s my problem, I want to do it all! But I can’t. I really thought separating my blog into two, having my Disney stuff separate from The Purple Pumpkin Blog (my main blog) would be a good thing, but in the long run, for the person that has to write all the content, it isn’t! I didn’t move over much of the Disney stuff from here to there due to lack of time to do so. However, I am not going to get rid of that website completely – it’ll still be there, but instead the trip reports will be coming back to this site in full. In the grand scheme it doesn’t really matter, but I thought I would mention it! I highly doubt I am going to get this finished by the time we go to Florida in December. I will give it my very best shot, but realistically, I don’t think it is going to happen. When I first started writing Disney Trip Reports, back in 2011 after our first trip, I think I took “only” a couple of thousand photos for the whole 3 week trip. These days I take a thousand a day, easily. That’s because back then I wasn’t a blogger, and now I am, so I’m taking as many photos as I can to make sure I’ve got the right photos for the job. It means that I end up taking a lot longer to sort and edit pictures, then decide which ones to use. Then on top I have to write my actual report – it takes (me) a long time. 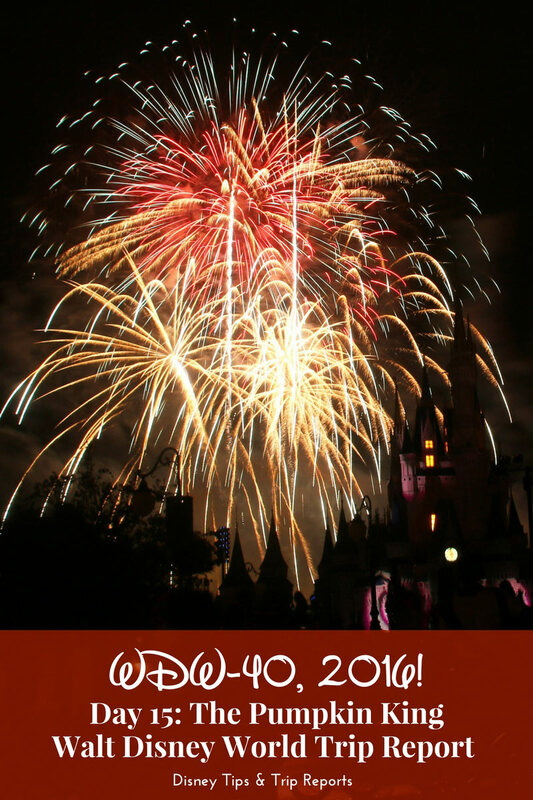 Pictures will have my Disney Tips & Trip Reports watermark on them on this day – back to normal going forward. If you’ve been waiting on my trip report, then I apologise for keeping you waiting, and hope you continue to read along as I tell you about the rest of this trip – there are 15 more days to go yet! Right, on with today’s report! After a bit of a lie-in we spent most of the day in and around the Oasis Pool which is the smaller/quieter of the two pools at Disney’s Polynesian Village Resort. It was never too busy when we visited the pool which was nice. The Lava Pool (which we didn’t get to on this trip) has a big water slide and is naturally very popular with families. I’m sure we’ll get there on future trips. There are three cabanas for guest use – I have heard that during high season you have to pay to reserve these, but we used one without having to pay a fee. There are plenty of sun loungers, as well as tables and chairs surrounding the pool. There are steps leading in, as well as a zero entry point. There is also a hot spa pool as well which we dipped into a few times.